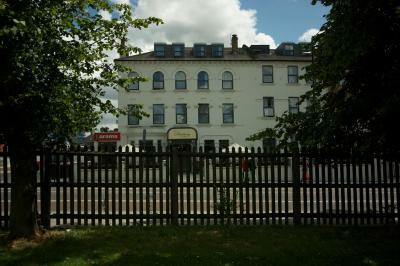 The property was a short walk to the Tube station and a bus stop was about a block away. Grocery stores, shops and pubs/restaurants were in the immediate area. The staff was friendly and close to the stadium where we were attending a game. Staff was nice and breakfast was meager, but delicious. Close to the Arsenal stadium. Right next to the Finsbury park. The shower was very good. 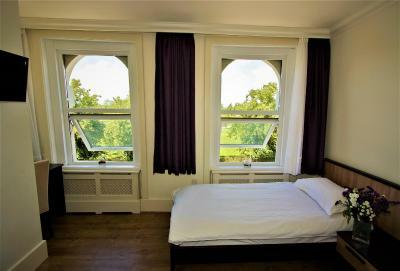 The location is well situated across from Finsbury Park and on the Victoria line... which may be why this property feels it doesn’t have to bother. The parking was reasonable and easy. The cafe area is nice. Very good location for our needs, good parking, comfortable beds. Very nice complementary continental breakfast. Good selection and all fresh. Pembury Hotel This rating is a reflection of how the property compares to the industry standard when it comes to price, facilities and services available. It's based on a self-evaluation by the property. Use this rating to help choose your stay! One of our best sellers in London! 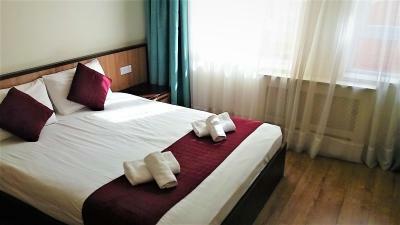 Opposite Finsbury Park, less than 1,650 feet from Finsbury Park Station and a 15-minute walk from The Emirates Stadium, home of Arsenal F.C., this hotel offers rooms with attached bathroom and free high-speed Wi-Fi. 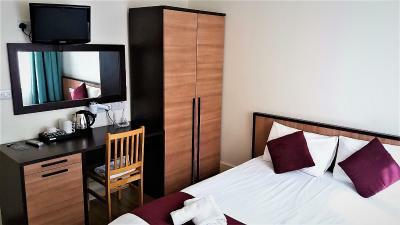 All of the rooms with attached bathroom have a TV, hairdryer and facilities for making tea and coffee. 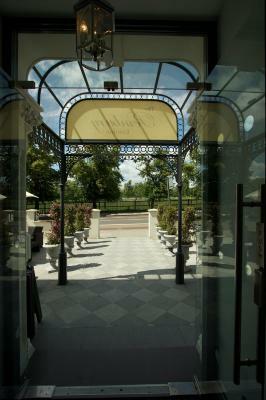 A large secured car park is available for guests. 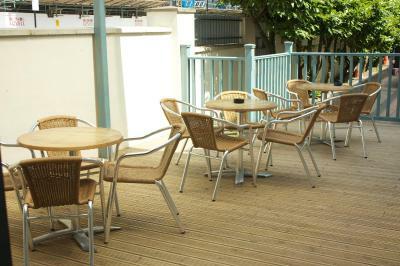 The hotel also has a comfortable lounge area for guests to relax or work in. A light continental breakfast is available every day, served in the wooden-floored eating area. 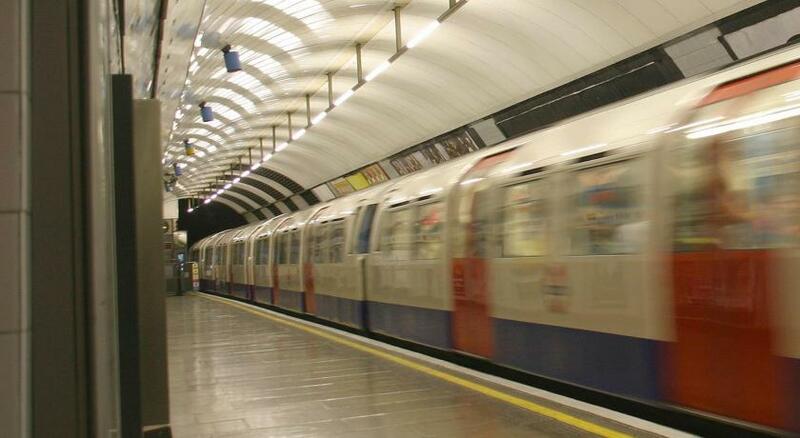 Finsbury Park Tube is on the Victoria and Piccadilly lines, with Kings Cross Station just 2 stops away. Busses run regularly from outside of the hotel to Leicester Square, and take around 20 minutes. 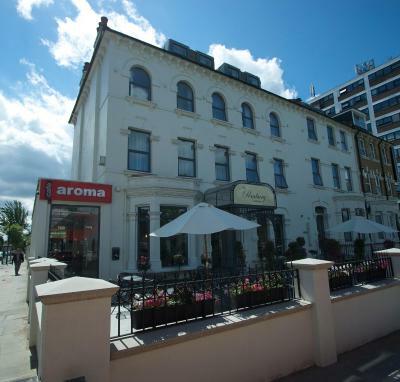 The Pembury Hotel has a convenient location on the A503, which runs directly into the heart of central London. There are regular trains from Finsbury Park to London King's Cross, Cambridge, Peterborough and Welwyn Garden City. 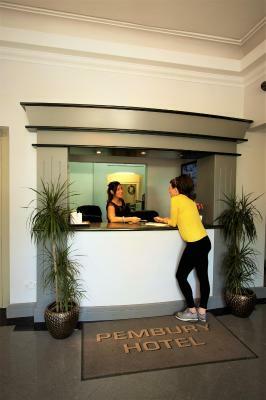 When would you like to stay at Pembury Hotel? This room has a TV and tea and coffee making facilities. 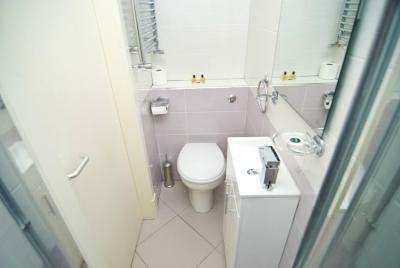 The room also has a private bathroom. 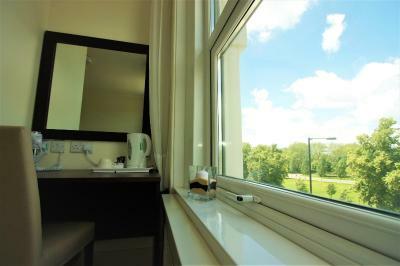 Rooms at the front of the hotel have a view of the park and quieter rooms at the back of the hotel are also available. 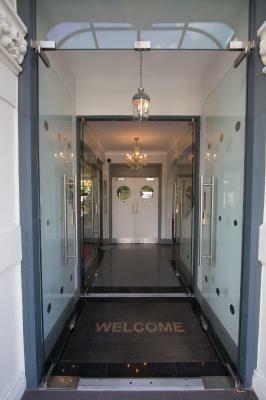 House Rules Pembury Hotel takes special requests – add in the next step! 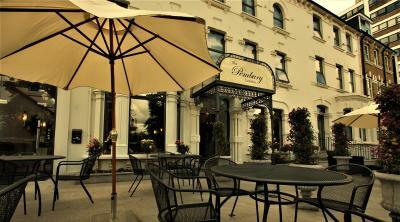 Pembury Hotel accepts these cards and reserves the right to temporarily hold an amount prior to arrival. 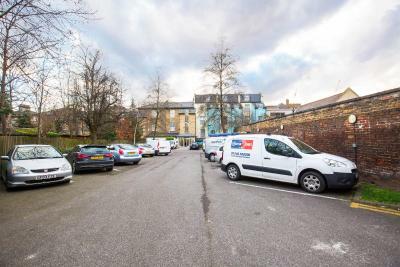 Please note that parking spaces are limited and reserved spaces are on a first-come, first-served basis and are charged at GBP 10 per day. Please use the Special Requests box when booking, or contact the property directly using the contact details provided in your confirmation. Reservations are not guaranteed until confirmed by the hotel. Please use the Special Requests box when traveling with children and let us know how many and their age, as cots and extra bed are on request basis. For bookings of more than 4 rooms and or 5 nights, different policies and additional supplements will apply. Please note that this hotel is committed to providing guests and associates with a smoke-free environment. 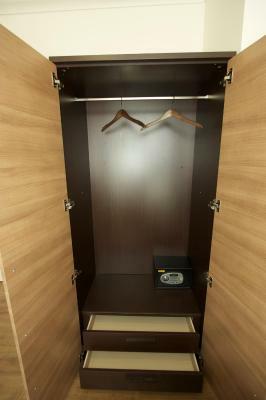 Violating the Hotel No-Smoking Policy will result penalty charges to your account for extra cleaning. Too loud! Thin walls and you hear everything from three rooms next to you. The beds were to small and you could obviously see that it was used by to many people before. Definitely not for that price. The only thing that way good, was that the internet did work. Everything else was awful! The bathroom is very small so one has to sit on the toilet in a weird angle and the washing basin is smaller than a hand making it difficult to wash hands and clean teeth there - however one can get used to the small space. 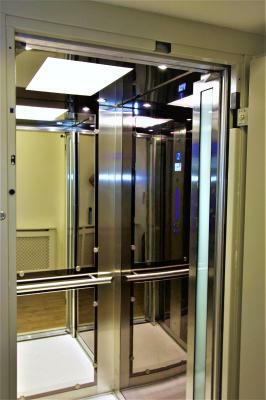 The walls are very thin, so you will hear anything that the neighbours say in their rooms or on the corridor. There was no bin in the room. Pretty boring breakfast. I’d prefer that they would serve something healthy, boiled eggs f.ex. Jam is not my choice. Maybe add some fresh fruit/smoothie as well, so that I didn’t have to buy breakfast someplace else every morning. I liked the service I got from the receptionist(s). They always had time for me the few times I had to get in touch with them. 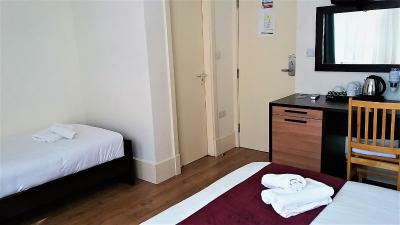 What we viewed via booking.com (and online from their website) certainly does not match reality! The room was small, the en-suite so small it was claustrophobic, very difficult to move in the shower without your anatomy touching the water mixer, leaving you suddenly with cold water then hot water. The room is shabby and in need of refurbishment. There was no under bench fridge in the room so you couldn’t buy fresh milk for your hot drinks. Good location for us and staff were good. Even though the bed was only a double, the mattress was comfortable. The room had tea and coffee making facilities. 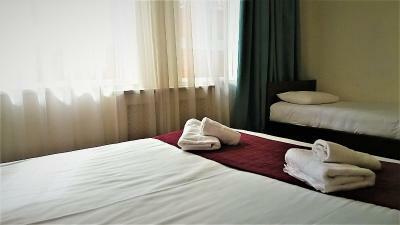 The matras was very old en to soft.Change this en the room is ok.
Great location, helpful staff. Would definitely stay here again. We were just looking for a clean bed and a place to stop over and this was perfect. The biggest problem was soundproofing. Other customers were really noisy very late in the evening which of course isn't hotels fault, but staff should tell all people to avoid any noise after 10 PM. We could hear every night what people were talking in our neighbouring rooms. Washing room was too tiny, it was difficult to wash even face. Staff was nice and helpful. Breakfast was good and on leaving morning we got breakfast 30 minutes before opening time. Room was clean. Location was really good close to Finsbury park and two wetland sites. Traffic connections were excellent; very close to underground and bus stops.